In the Inline, the work Head is set into a wall, which divides the machine into two separate chambers, one with the inlet tube attached and the other with the outlet. Because of this construction it is physically impossible for any material-liquid or solid – to pass from the inlet to the outlet without being subjected to the hydraulic and mechanical shear actions. The lower profile also permits its installation in area that are limited vertically. 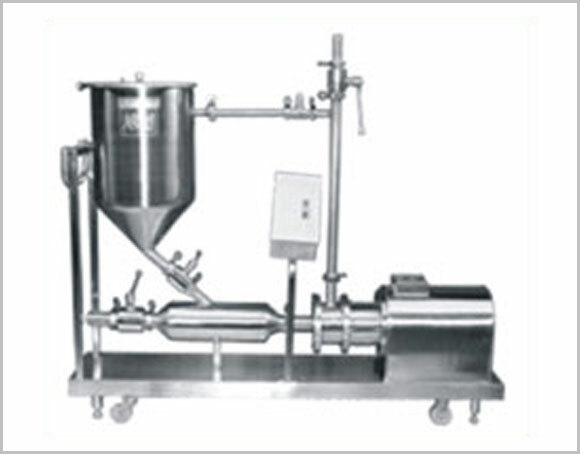 This, with other features, underlines its superiority over conventional COLLOID MILLS. The stators are available with perforations of different sizes and shapes. This makes it possible to adopt any machine to a variety of different processing operations including blending, mixing, emulsifying, homogenizing, disintegrating solids and suspending.